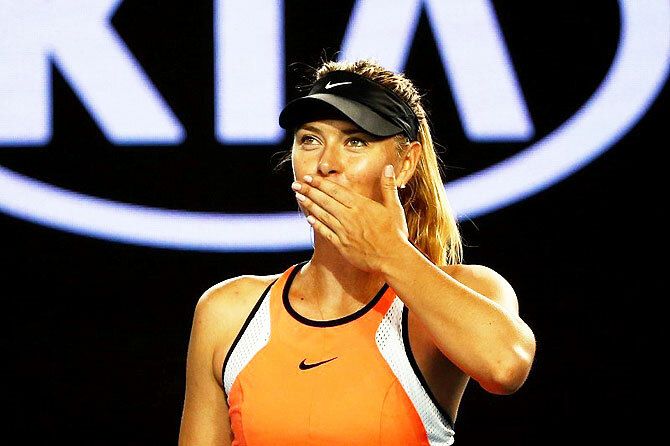 Maria Sharapova declared herself free from the worry of a forearm injury after charging into the Australian Open third round on Wednesday. The fifth seeded Russian had to pull out of the leadup Brisbane International with a sore left forearm but was in full flight in a 6-2, 6-1 rout of unseeded Belarusian Aliaksandra Sasnovich, the early match at the Rod Laver Arena. "Yeah, I feel pretty good. I felt I was more confident with my left hand today," Sharapova, runner-up last year to Serena Williams, told reporters. "That's always something that -- especially when it's like in the hand-wrist area -- it's in the back of your mind even though you're feeling it. "I felt really good and confident today about it." Long a baseline blaster rather than an all-court player with a delicate touch, the five-times grand slam champion had enough comfort against Sasnovich to launch a few drop-shots from the baseline, with mixed results. 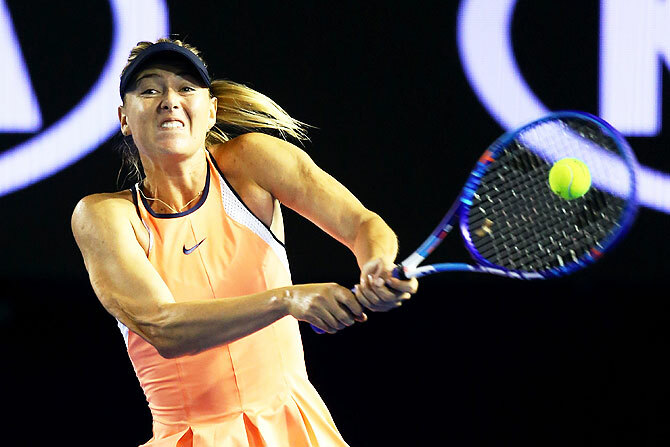 Sharapova said she had been working on mixing up her game, which some pundits have seen as too one-dimensional to beat top seed Williams, who has long dominated the Russian. "When I'm aggressive and I have depth on my shots, it's just good to have that variety to bring (players) in, to move forward myself," said Sharapova, who next faces American Lauren Davis. "I mean, I had a couple of good (drop-shots), I had a couple of really crappy ones. I'd say it was pretty mediocre today. "It's actually something that I had to add, because I was getting really frustrated losing to my hitting partner all the time. "He just stood so far back behind the baseline, I was like, just can't handle him beating me so often. "I have to just change things around. That's kind of when I started getting into that a little bit. "He was a little surprised (laughter). But it started working, so that was good." Will Venus be back at the Australian Open next year?